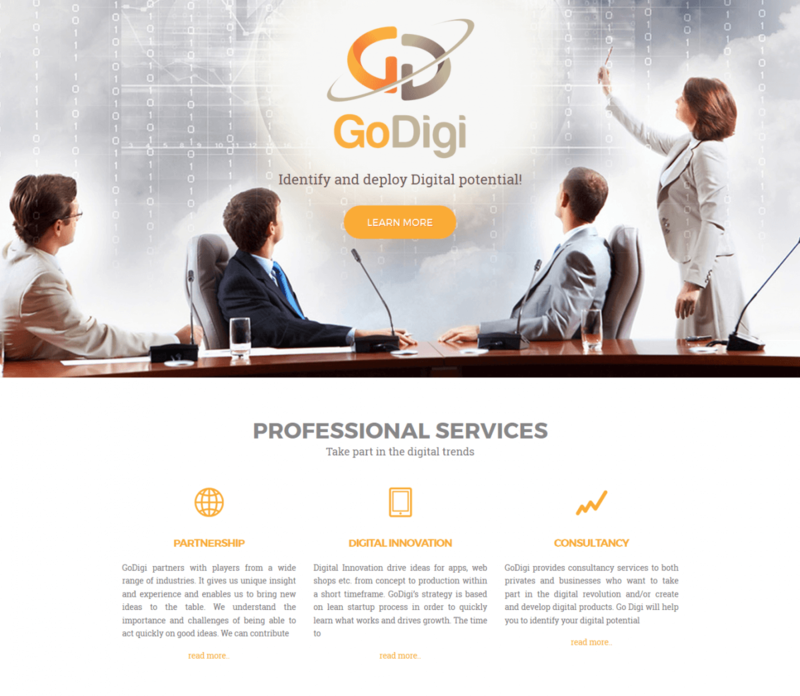 A one page web site named GoDigi. They offer a lot of services, helping people with achieving their ideas and help them deploy their digital potential. We must say that the clients for this project were just amazing. They left the project completely in our hands. The website is fully responsive, can be seen good on any device. The design is simple and user friendly. With several sections and a “ Read more” buttons. Simply yet classy design. Yet again, you can see the link to the site at the top of the page. It took us 1 week to make with the revisions.